Particularly within the current climate of the oil and gas industry, communities like Artesia have been further reminded of the vital role the trade plays not only in the local economy but quality of life, as well. 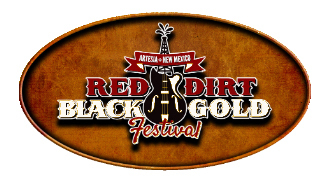 It’s this fact Artesians are invited to celebrate Saturday, Aug. 27, at the Artesia Arts & Cultural District’s Second Annual Red Dirt Black Gold Festival. Once again, the event organized in 2015 to pay tribute to the community’s industrial roots will feature an oilfield equipment parade, Olympic-style competition, a cook-off, and plenty of music to add to the festival atmosphere. The day will kick off at 9 a.m. with the parade, which heads east on Main Street from Bulldog Bowl all the way to First Street, where it will turn left and end on Mahone Drive along Eagle Draw. There, a new feature of the festival will allow parade-goers an up-close-and-personal look at the machinery. “After last year’s parade, we had some people saying, ‘That’s a really cool piece of equipment, I wonder what it does,’” said Elisabeth Jackson, executive director of Artesia MainStreet. “We’re going to have all the equipment in the parade staged at Eagle Draw immediately following the parade for an Oilfield Equipment Education Hour. Also at 9 a.m. along Eagle Draw between Seventh Street and Roselawn Avenue will be the Oilfield Olympics, in which teams can test their mettle in a variety of oilfield-task-related events. The Oilfield Cook-Off will begin offering up tantalizing grilled treats at 1 p.m. in Heritage Plaza. Most oilfield businesses have learned to prepare in-the-field feasts for their employees out of necessity, due to their locations far away from any restaurants. That’s led to some serious skills, and the public will be able to purchase food while the companies compete for bragging rights. The “Red Dirt” portion of the event, named for a folk, country, bluegrass and Southern rock genre of music originating in Oklahoma, begins at 3:30 p.m. in Heritage Plaza with a string of free concerts. First on the docket is the Cody Bryan Band, which has grown from its Austin, Texas, roots to making a name for itself throughout the region. Emerging country singer-songwriter John Baumann will perform at 5 p.m., followed by Texas honky-tonk firebrand Sunny Sweeney at 6:30 p.m. Alabama country singer-songwriter Adam Hood and Jason Eady, a Jackson, Miss., native with deep roots in the blues, soul and swamp rock, will perform at 8 p.m. as part of their Southern Brothers tour. At 10 p.m., Cody Canada and the Departed, featuring former Cross Canadian Ragweed singer Cody Canada, will take the stage to entertain crowds with their blend of country and rock. Additional information on all events, including application forms for the Oilfield Equipment Parade, Oilfield Olympics and Oilfield Cook-Off, can be found online at www.artesiaacd.com.